Independent file photo SMSU’s Eisha Oden (7) and Taylor Reiss (1) go up for a block during a Nov. 2016 match against Augustana University. MARSHALL – The top-ranked Southwest Minnesota State women’s volleyball team (8-0) will open conference play this week as they travel to play at No. 9 Augustana on Thursday at 6 p.m., followed by its home opener against Wayne State on Saturday against No. 17 Wayne State as the Mustangs look to remain unbeaten on the season. – SMSU took over the No. 1 ranking in the country for the first time since 2012 in the latest AVCA top-25 poll. – Taylor Reiss was recognized this week as the Sports Imports/ AVCA DII National Player of the Week. – Megan Larson and Taylor Reiss were recognized by the NSIC as Setter of the Week and Offensive Player of the week respectively. – Larson became the program’s all-time leader in career assists in SMSU’s win over Ferris State last week. – Reiss became the 14th player in program history to surpass the 1,000 career kills mark in the Mustangs’ win over No. 1 Concordia-St. Paul. – The Mustangs’ captured their first Colorado Premier Championship in eight trips after defeating No. 1 Concordia-St. Paul last Saturday night. – SMSU opens NSIC play this week taking on two more ranked opponents in No. 9 Augustana and No. 17 Wayne State. – SMSU is 18-2 in the last 20 matches overall vs. Augustana. – Augustana has a slight edge in the all-time series, leading 31-30-1. 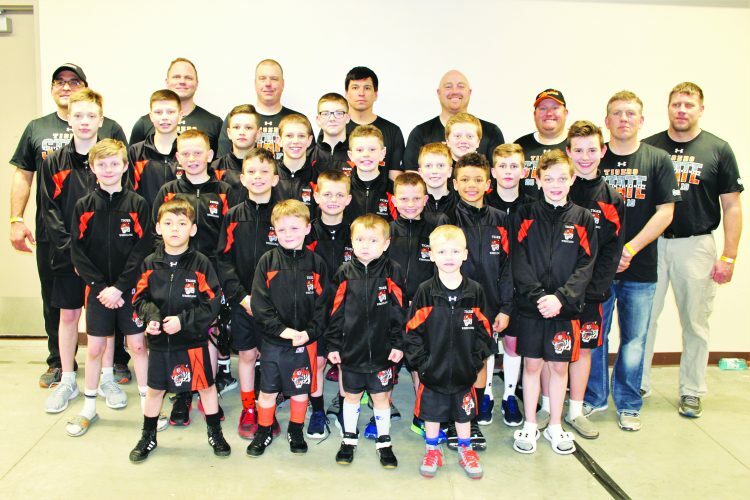 – The two teams went five sets in both matches last season. – Augustana defeated SMSU in its home opener, 17-25, 25-19, 19-25, 25-18, 15-11. – SMSU beat Augustana in the NCAA Central Region Semifinal match, 21-25, 25-23, 16-25, 25-17, 15-9. – The Mustangs own a 9-2 conference record against Augustana since the Vikings joined the NSIC in 2008. – SMSU is 8-14-1 all-time vs. Augustana in road matches. – Augustana was forced to change its travel plans in the wake of Hurricane Irma last week; With the cancellation of the Bash at the Beach Volleyball Tournament in West Palm Beach, Fla., Augustana elected to compete in the Lindenwood Challenge in St. Charles, Mo. – Augustana was swept in its only loss of the season to Regis University at the Oredigger Classic in Golden, Colo.
– Junior outside hitter, Courtney Place, leads the Vikings’ attack with 3.68 kills per set and a .219 hitting percentage. – Senior middle blocker, Ashley Wilson, has a team high 33.0 total blocks on the year with seven solo blocks. – Senior setter, Alex Banker, is averaging 10.91 assists/set. – Senior libero, Tahlyr Banks, leads the team with 4.66 digs/set. – Wayne State leads the all-time series 26-28-1. – SMSU won all three matches between the two school last season dropping just one set in the process. – SMSU swept the regular season matchup, swept WSC in the NSIC Tournament Semifinal, and won 3-1 in the NCAA Central Region Quarterfinal match. – The Mustangs are 7-5 against Wayne State in the last 12 matches and hold a 16-13 record over the Wildcats in conference matches. – SMSU is 12-6 all-time in home matches against WSC. – Wayne State began the 2017 season with three non-conference tournaments. – WSC went 3-1 to start the year in the Colorado School of Mines Tournament in Golden, Colo.
– The Wildcats went 2-0 in Pueblo, Colo., at the CSU Pueblo Tournament. – Wayne State went 0-2 to wrap up non-conference action with losses to Colorado-Colo. Springs and Colo. School of Mines in Colo. Springs at the UCCS Tournament. – Senior, Erin Gross, leads the Wildcats’ attack with 2.69 kills per set. – Redshirt freshman, Jaci Brahmer, is averaging a team high 1.44 blocks per set. – Sophomore libero, Haley Kauth, averages 4.31 digs per set. – Junior setter, Megan Gebhardt, is currently averaging 9.06 assists per set. 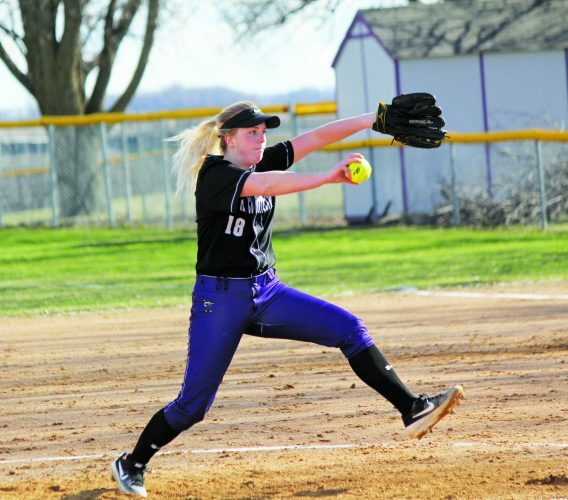 – One weekend after taking over second on the Mustangs all-time career assist leaderboard, Megan Larson, continued to raise her career average (she averaged 13.29 a/set in the Colo. Premier) on the way to becoming the SMSU all-time career assist leader in the win over No. 8 Ferris State. – Larson had the second most assists (1,517) and assists per set (12.86) for a single season in program history in 2016. – Reiss became the 14th player in program history to surpass the 1,000 career kills milestone in the Mustangs win over No. 1 Concordia-St. Paul. – Reiss now sits just 96 kills away from moving into the Mustangs’ top-10 in career kills. – Reiss had 35 kills vs. Lewis (Ill.) last season, breaking the program record for kills in a four-set match. 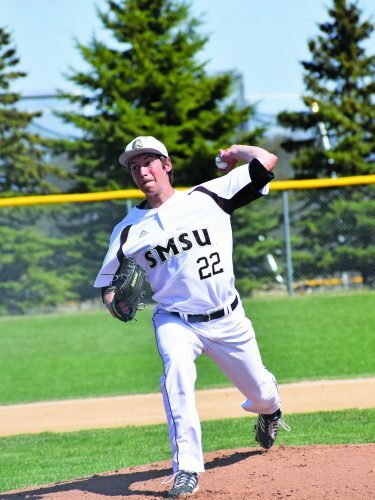 – SMSU has won 3 of its last 4 four conference openers. – The Mustangs are 8-5 under head coach Terry Culhane in conference openers. – SMSU lost last season’s conference opener to Augustana in five sets. – SMSU has gone 10-7 in home openers since 2000. – The Mustangs have lost the last two home openers after winning the previous five in a row from 2010-14. 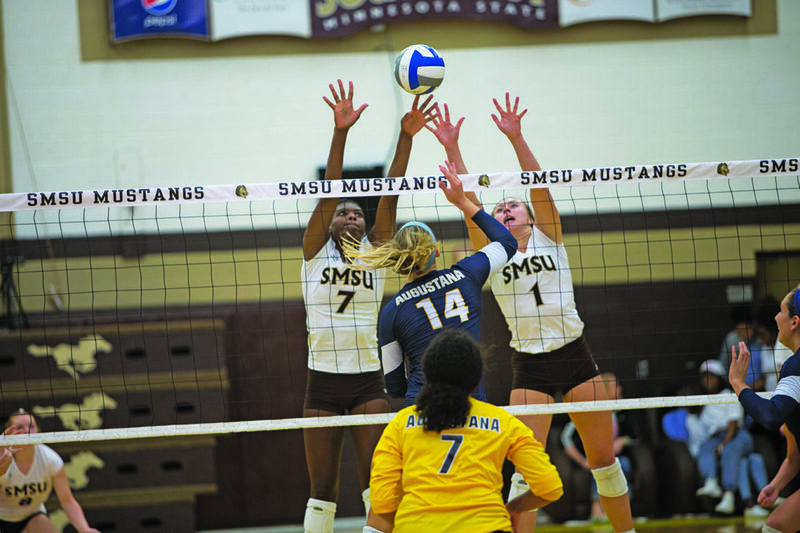 – SMSU lost last season’s home opener to Augustana in five sets. – Freshman middle blocker, Sarina Smith, had 14 kills in the Mustangs win over No. 1 Concordia-St. Paul and now has double digit kills in four matches this season. – Smith averaged 3.07 kills per set and had 17 total blocks last weekend. – Freshman libero, Payton Hjerleid, averaged 2.86 digs per set in the Colo. Premier and also added 10 service aces while playing in all 14 sets over the weekend.